Kidzmet's Student Strengths grid can help teachers more effectively personalize lessons to the learning styles, preferences and strengths of this year's class mix. When educators take into account student interests as well as the ways in which their students prefer to learn when planning lessons, the result is a more engaged class and deeper understanding of the material. While teachers regularly use technology to augment lessons and concepts they have already introduced in the classroom, Kidzmet now offers teachers a way to use technology to make sure they introduce new concepts and tailor lesson plans for their students in ways that more effectively engage their students' learning preferences including kids' personality types, multiple intelligence preferences and learning styles. "When educators take into account student interests as well as the ways in which their students prefer to learn and tweak lesson plans accordingly, the result is a more engaged class and deeper understanding of the material," say Jen Lilienstein, Kidzmet Founder. "Just because a lesson plan worked beautifully for last year's class doesn't mean that it will necessarily engage your current students as well." Kidzmet's new Student Strengths Grid gives educators a class level picture of their students' multiple intelligence interests, personality types, and preferred learning styles. The grid can be used to help plan lessons at a class level as well as to segment kids into breakout groups that play to the kids' strengths. "For instance, if you can avoid putting two extroverted thinkers in the same group, you may be able to avoid some unnecessary power struggles that can hinder group performance. Or, by putting a sensor in the same breakout group as an intuitive, you can help ensure that students tackle the problem from both tree and forest levels. Segmenting teams by preferred learning style may help struggling students learn new techniques that work for other kids that enjoy learning in the same ways they do," says Ms. Lilienstein. 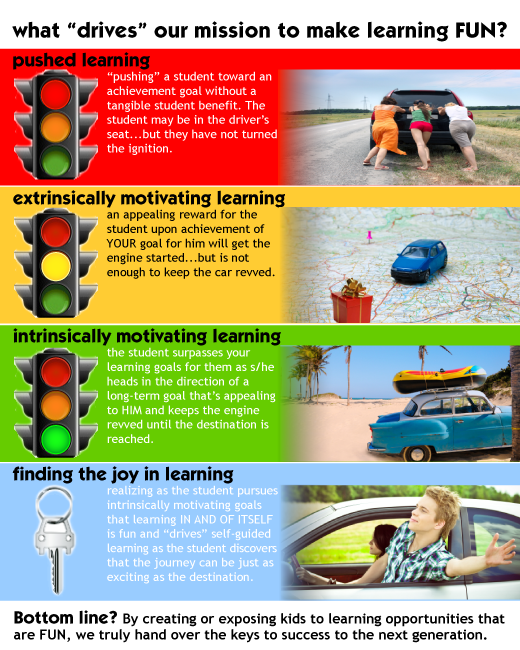 The concept of student enjoyment being a critical aspect of student achievement is not a new one. Books from educational psychologists and neuroscientists including Piaget (1981), Renzulli & Reis (2010), Christensen (2009), Sousa et. al. (2010), Myers-Briggs (1980), and Lawrence (1979) have echoed for decades that the keys to unlocking a child's potential lie in making learning intrinsically motivating and enjoyable for the student. Kidzmet's Classroom Account costs educators $9.99 per year and can be linked to an unlimited number of student profiles. Kidzmet also offers a School level account which includes all of the features and benefits of the Classroom account with added capabilities to assign students to instructors at the administrative level and an option to complete student preference profiles in a computer lab setting with a student ID login. Kidzmet's Recipes for Success blog provides at-home learning activity recommendations that expose kids to different aspects of the whole child curriculum via the multiple intelligence lenses through which they most enjoy exploring the world. 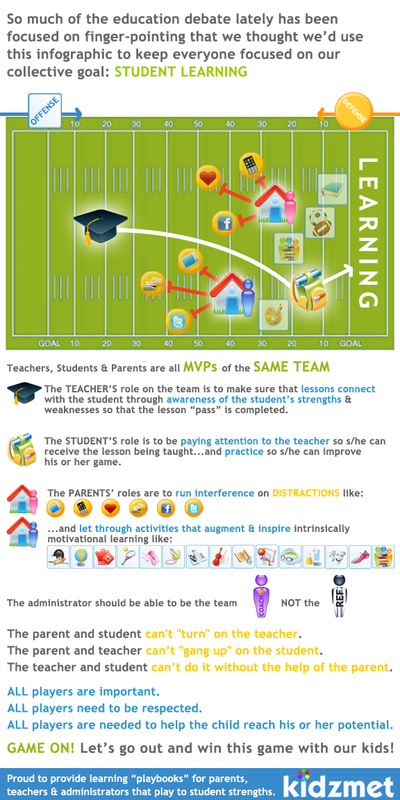 Teachers, Administrators, Parents & Students are all on the same learning TEAM! By creating or exposing kids to learning activities that are FUN, we truly hand over the "keys" to success to the next generation. Kidzmet's new student strengths grid helps teachers tailor lesson plans based on the learning preferences & strengths of their current class.